Catherine grew up in nearby Bethesda and used to truly fear and loathe improv! Then she had some wonderful improv teachers in college and at the Magnet Theater and is now pretty into it. In her time as a student and intern, Magnet and its community taught her pretty much everything she knows. 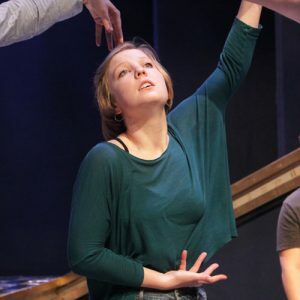 Outside of improv, Catherine is a theatre maker and producer whose interests include physical abstraction, female-centric fairy tales, and big puppets. She also waits tables and stuff!